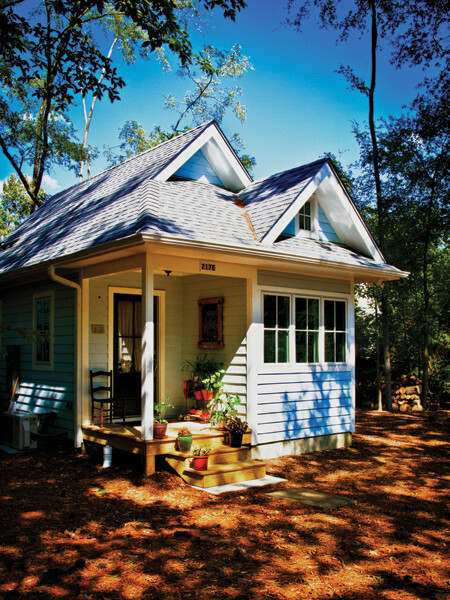 Is Tiny or Small Living for Me? I am not certain that tiny or small living is for me or perhaps I should say not for me as of yet. There is a true desire to shed the material entrapment I find around myself and I would certainly love to live in a place that won’t present me with $557.96 utility bills. However, I have found myself in a conundrum. It’s not so much the love of things that are in the way, though it will definitely be a challenge for me to part with some of it. It is the fact I find myself the eventual caregiver of my mother. She doesn’t require any caregivers at the moment, but sometimes I wonder. She seems to becoming a bit confused at times and she doesn’t take care of the things that need to be taken care of or the way she used to. There is decisiveness. There is sadness. There is boredom. The list could go on. Since my brothers passing she hasn’t been the same and I don’t expect she ever will. Currently a visiting friend distracts her, but this friend leaves to return to her home tomorrow. I feel in time all those things that have been causing her trouble will resurface again and I will receive distressful telephone calls where she weeps and tells me she doesn’t know why. I have convinced her awhile back she should come stay with me during the summer months and then return to Florida during the winter months. She plans on doing this and I think she is excited about it. I will be flying to Florida at some point and then driving her back to North Carolina in her car. She wants her car here so that she may explore. I think this will be good for her. We have had brief conversations about selling her home with her moving into a small apartment or condominium, but also of me buying a home, with her help, where she may live part-time on a regular basis. I don’t think now is the time for me to live small or tiny. I really can’t imagine my mother agreeing to such a situation nor would I have any idea on how to make it work. I feel like I am entering uncharted waters. At least I know she must feel the same. I have had a few people say to me something like, once you have found interest in tiny living you have the bug and will eventually be living small. If your mother is considering selling her current property a consideration could be to purchase a piece of land and build 2 small cottages, one for each of you. This way you could have your own space, still be close, and be rid of the costly utilities. Yes, it’s still in my mind to live small or tiny. I have thought about exactly what you said. The problem is as my mum ages I would need to be near medical services, which means staying in town. Of course that is if I remain here in eastern NC. I have been trying to escape ever since I got here! Though it all come down to a job and I am not finding another one so I sit and wait. I am not writing the idea out of my head completely as I have been looking at land around and here. We shall see.